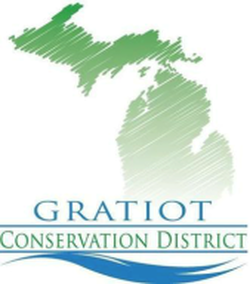 Conservation District: Carry out research on erosion control, have demonstration projects, direct prevention control measures, give land occupants various forms of assistance, make loans of equipment and materials, build and maintain structures, accept contributions of money materials and services, and propose land use regulations. Natural Resources Conservation Service (NRCS): Helps America’s farmers, ranchers and forest landowners conserve the nation’s soil, water, air and other natural resources. All programs are voluntary and offer science-based solutions that benefit both the landowner and the environment. Conservation buffers: Strips or other areas with trees or grass that help control pollutants, erosion, or other environmental concerns; A strip or area of herbaceous vegetation that removes contaminants from overland flow. Conservation Reserve Enhancement Program (CREP): An offshoot of CRP, targets high-priority conservation issues identified by government and non-governmental organizations. Farmland that falls under these conservation issues is removed from production in exchange for annual rental payments. Conservation Reserve Program (CRP): Designed to reduce erosion and protect water quality on up to 45 million acres of farmland. Under the program, enrolled landowners agree to convert environmentally sensitive land to approved conserving uses for 10-15 years. In exchange, the landowner receives an annual rental payment for up to 50 percent of the cost of establishing permanent vegetative cover. Conservation tillage: Any of several farming methods that provide for seed germination, plant growth, and weed control yet maintain effective ground cover throughout the year and disturb the soil as little as possible. The aim is to reduce soil loss and energy use while maintaining crop yields and quality. No-till is the most restrictive (soil-conserving) form of conservation tillage. Other practices include ridge-till, strip-till, and mulch-till. Cover crops: A crop grown between periods of regular production of the main crop for the purposes of protecting the soil from erosion and improving soil productivity, health and quality. Crop residues: Any organic matter left in the field after the harvest of a crop, e.g. leaves, stalks, stubble, roots, hulls. Forests: Generally, an ecosystem characterized by a more or less dense and extensive tree cover. More particularly, a plant community predominantly of trees and other woody vegetation, growing more or less closely together. Grassed waterways: A shaped or graded channel that is established with suitable vegetation to convey surface water at a non-erosive velocity using a broad and shallow cross section to a stable outlet. Grasslands: Large land areas covered with grass typically used for grazing. No-till: Limiting soil disturbance to manage the amount, orientation and distribution of crop and plant residue on the soil surface year around. Nutrient Management: Managing the amount (rate), source, placement (method of application), and timing of plant nutrients and soil amendments. Pastures: An area devoted to the production of forage (introduced or native) and harvested by grazing. Prescribed burning: Controlled fire applied to a predetermined area. Prescribed grazing: Managing the harvest of vegetation with grazing and/or browsing animals. State Acres For wildlife Enhancement (SAFE): CRP conservation practice to create habitat that is beneficial to the target high-priority wildlife species. This may involve planting trees, grasses, forbs or other species that help restore or improve wildlife habitat. Watersheds: The land area that drains water to a particular stream, river, or lake. It is a land feature that can be identified by tracing a line along the highest elevations between two areas on a map, often a ridge. Wetlands: An area that is saturated by surface or ground water with vegetation adapted for life under those soil conditions. Wetlands Reserve Easement (WRE): A voluntary program that provides an opportunity for landowners to receive financial assistance to enhance wetlands in exchange for retiring marginal land from agricultural production. WRE provides technical and financial assistance to eligible landowners to address wetland, wildlife habitat, soil, water, and related natural resource concerns on private lands in an environmentally beneficial and cost-effective manner. Wetlands Reserve Program (WRP): Was a voluntary program that offered landowners the opportunity to protect, restore, and enhance wetlands on their property; no longer accepting new applications. Instead interested landowners should look into Wetlands Reserve Easement (WRE). Windbreaks: Single or multiple rows of trees or shrubs in linear configurations. For a more complete list of agricultural and conservation terms and definitions, check out this list from the USDA.